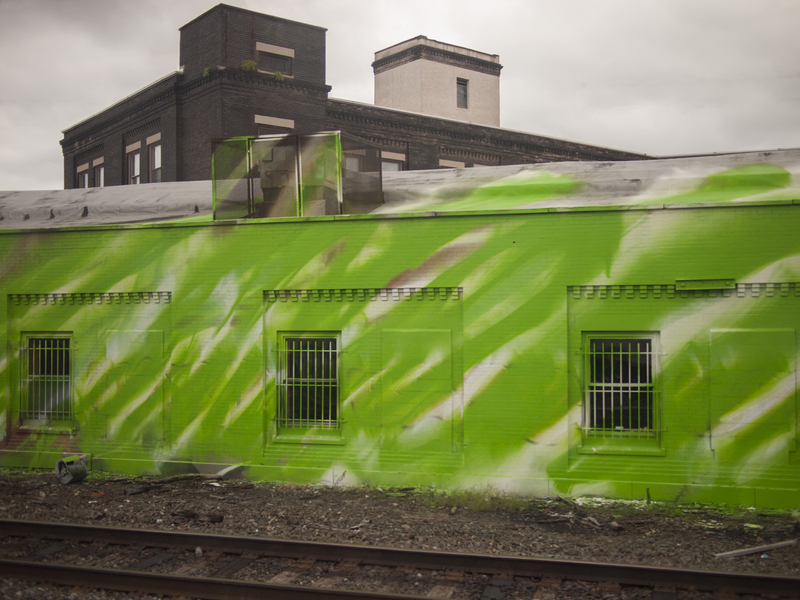 Katharina Grosse’s Psychlustro public art on the R8 Chestnut Hill West rail line, 03 August 2014. 05 Aug	This entry was published on August 5, 2014 at 7:52 am. 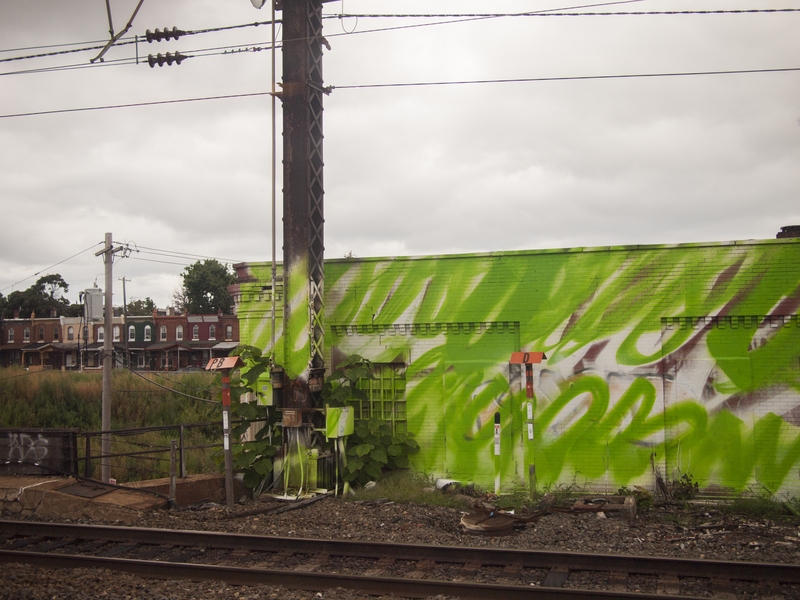 It’s filed under North Philly and tagged Katharina Grosse, Psychlustro, R8 Chestnut Hill West. Bookmark the permalink. Follow any comments here with the RSS feed for this post.